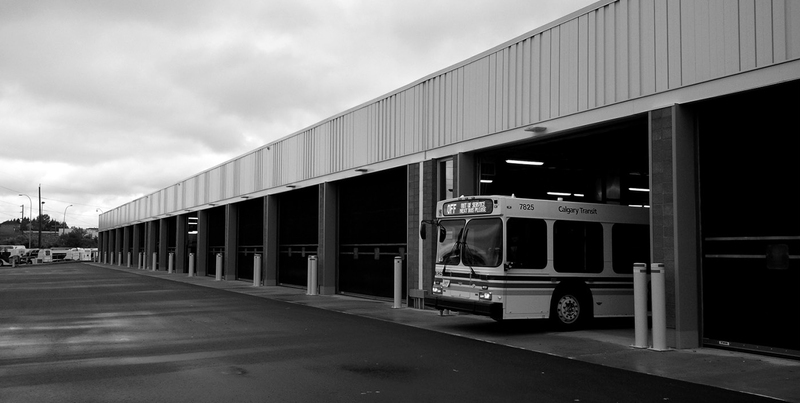 Calgary Spring Gardens Bus Facilities - Strasman Architects Inc. 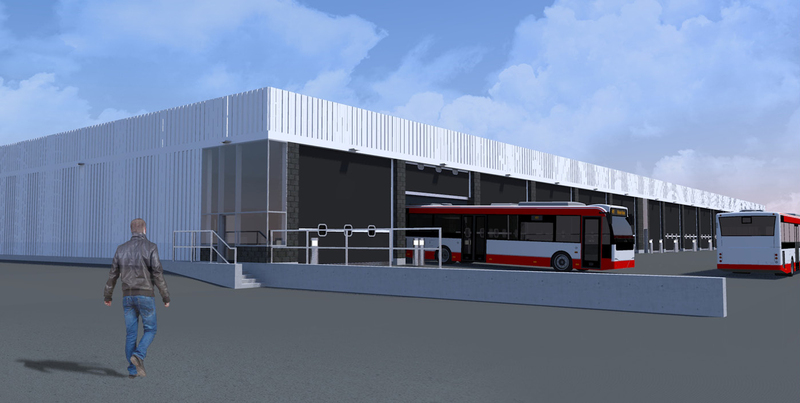 This project is currently in the detailed design phase and consists of a multi-phased development for the expansion of the existing Spring Gardens Garage which services over 450 Calgary Transit Buses. 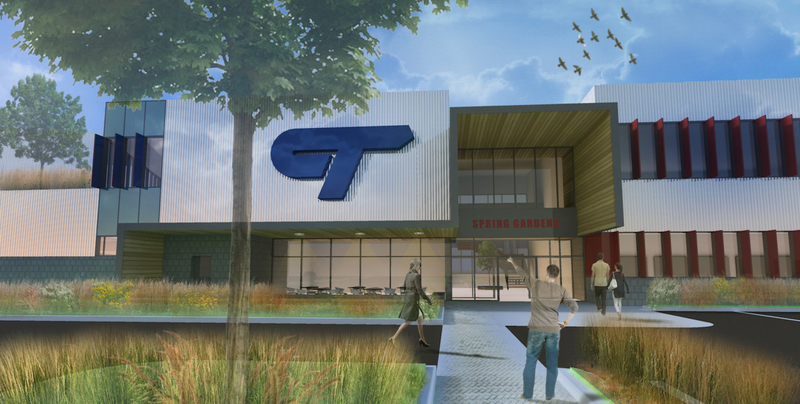 The scope of the project includes the master planning of the site; an expansion of the current indoor bus storage for an additional capacity of 102 buses and a new Fare Services Maintenance Building consisting of electronic repair areas, supervisor offices, a workshop, indoor service van parking, and secured storage areas and associated base building and staff amenity spaces including a lunch room and locker area. 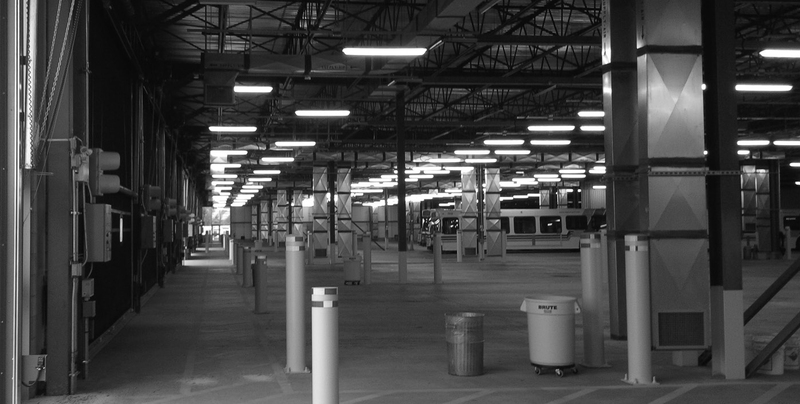 It also includes a new compressed natural gas (CNG) compliant Body Shop with articulated bus body repair bays with in-ground hoists and frame straightening systems, standard bus body repair bays with in-ground hoists and frame straightening systems, flat repair bays, paint booths for both standard and articulated buses, wash bay, upholstery shop, welding shop, fabrication shop, parts storage area with a counter, and associated base building support spaces and system for storage and distribution of service fluids. 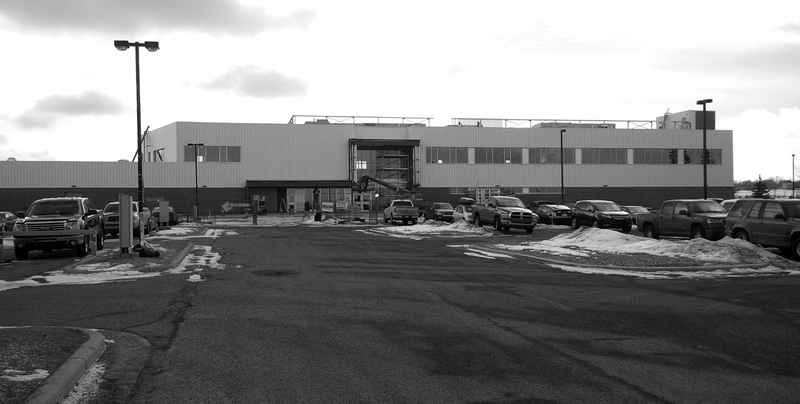 The Body Shop is being designed for LEED Silver certification. The project contains also the re-purposing of the existing body shop; the reconfiguration of a portion of the employee parking area and the associated civil enabling works to accommodate the building expansion. The estimated construction costs for the total project are $52 million.